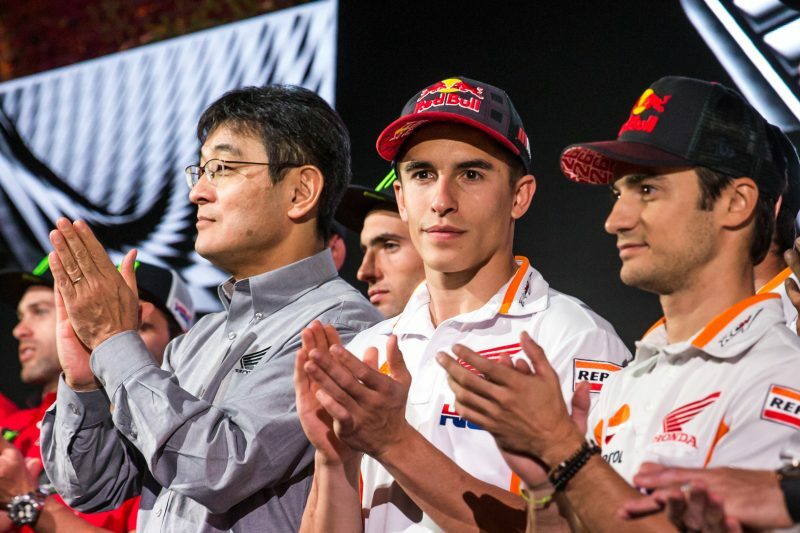 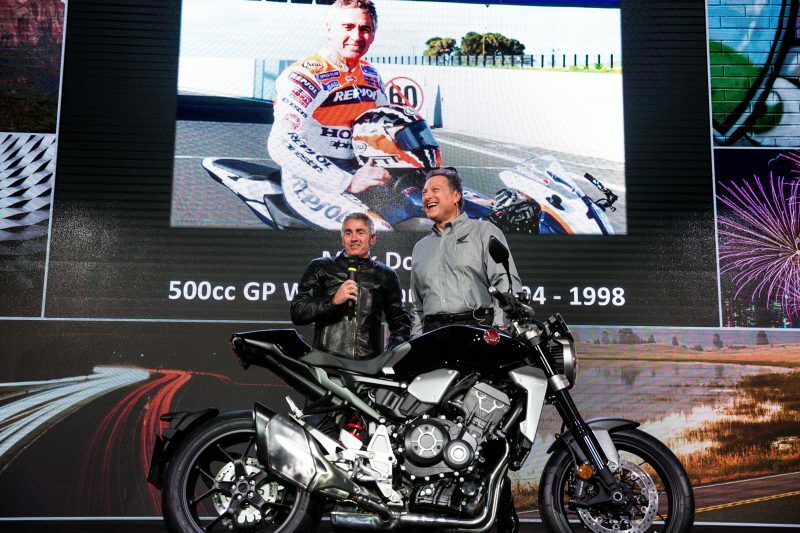 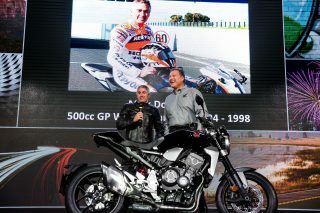 On Monday Marc Marquez and Dani Pedrosa attended the presentation of the brand new Honda models at the EICMA Show in Milan, Italy. 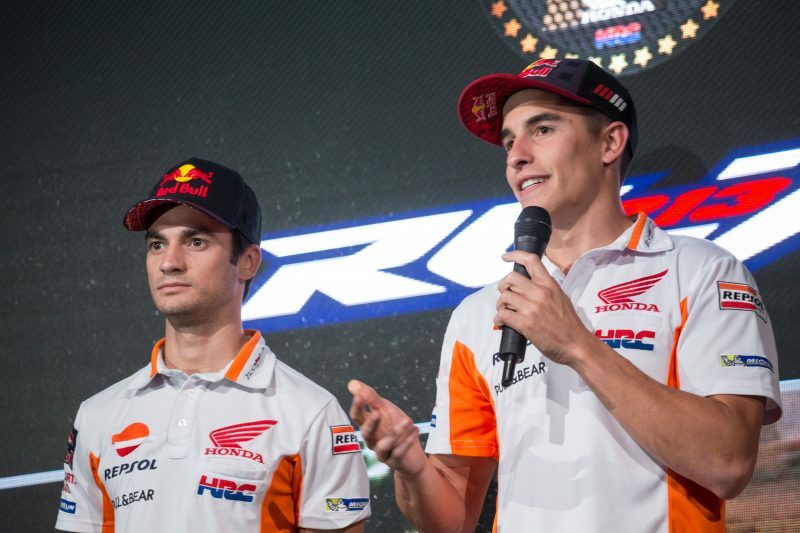 On the same occasion they took part in the Honda 2018 racing programme presentation together with fellow HRC riders from Dakar, MXGP and WTC teams, before heading to Valencia for the season finale. 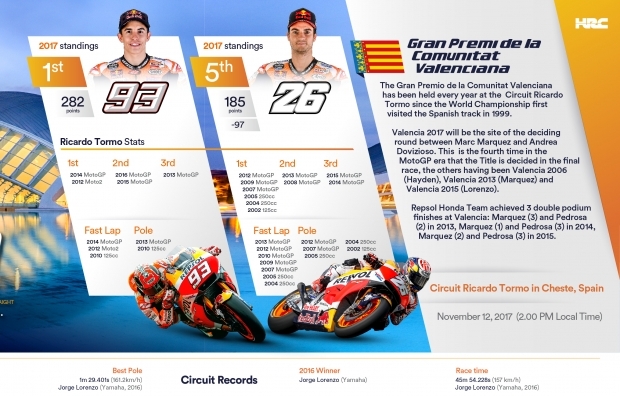 The Gran Premio de la Comunitat Valenciana will be the deciding round between Marc Marquez (282 points) and Andrea Dovizioso (261 points) for the 2017 MotoGP Riders World Championship. 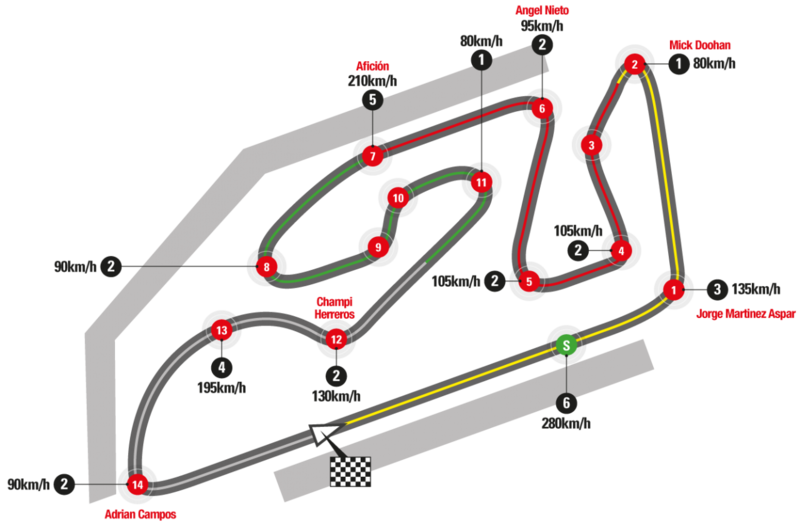 Since the World Championship series was introduced in 1949, this will be the 18th occasion in which the premier-class title will go down to the final race of the year (including 1993 when, strictly speaking, the title went down to the last round with Kevin Schwantz leading injured Wayne Rainey by 18 points). 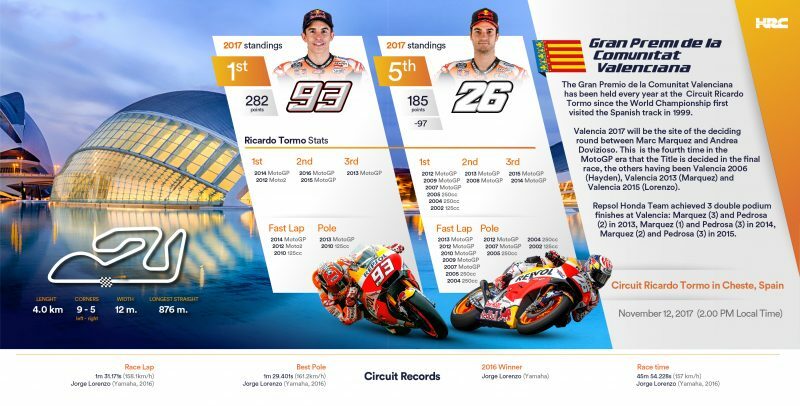 In the MotoGP era this will be the fourth time, the others having been Valencia 2006 (Hayden-Rossi), Valencia 2013 (Marquez-Lorenzo), and Valencia 2015 (Lorenzo-Rossi). 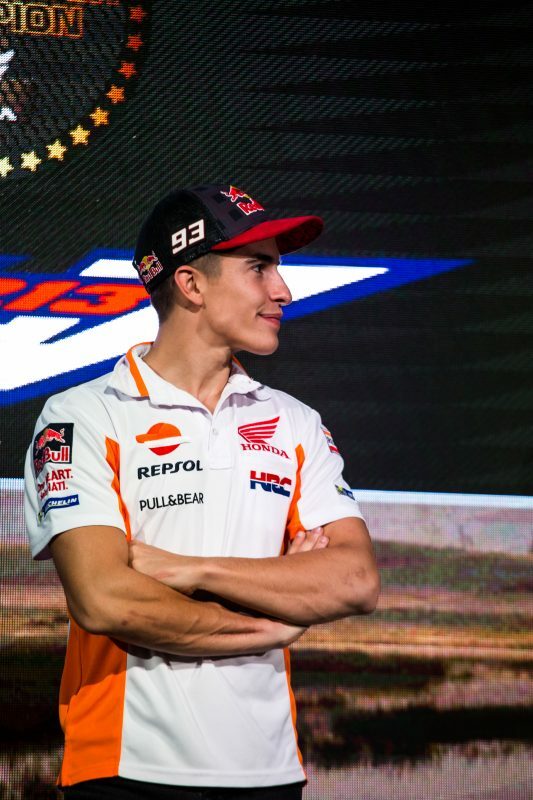 This will also be the third time in Marc’s career that he has fought for the title at the season-finale Grand Prix, the others having been Valencia 2010, versus Nico Terol (Marc won the 125cc Title, finishing fourth), and Valencia 2013, versus Jorge Lorenzo (Marc won the MotoGP Title, finishing third). 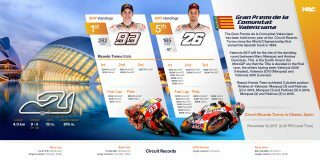 In Valencia, Marc will take the title if Dovizioso does not win the race, or if Dovizioso does win and Marc finishes 11th or better. In addition, after securing the Constructors World Championship in Malaysia a fortnight ago, the Repsol Honda Team will have the possibility to win the Teams World Championship. 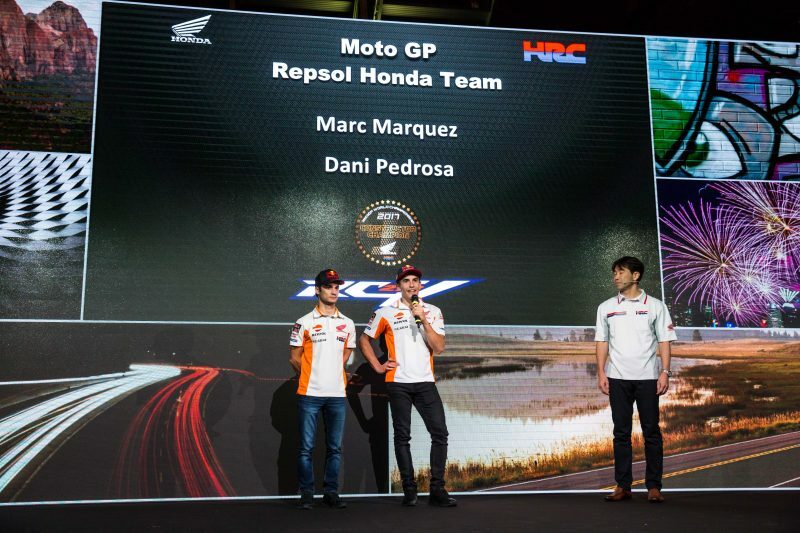 The Repsol Honda Team have earned three double-podium finishes at Valencia: 2013 (Dani Pedrosa 2nd, Marquez 3rd), 2014 (Marquez 1st, Pedrosa 3rd), and 2015 (Marquez 2nd, Pedrosa 3rd). 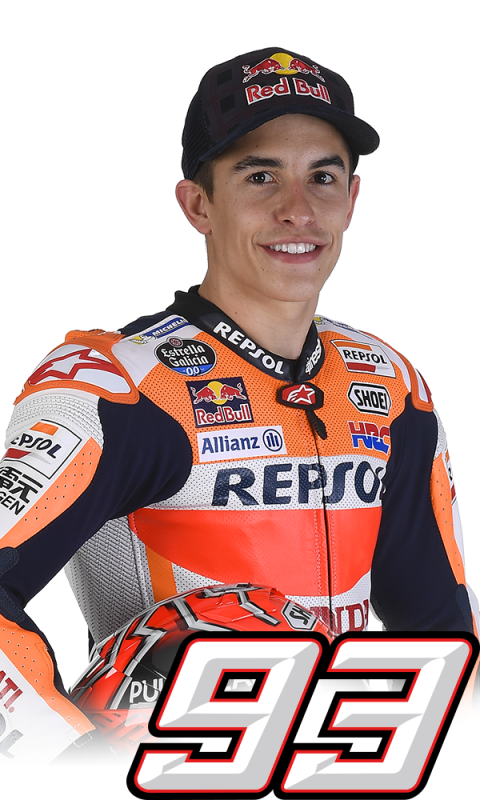 Marc Marquez has 2 wins—1xMoto2 (2012) and 1xMotoGP (2014)—plus 3 podiums and 2 pole positions. 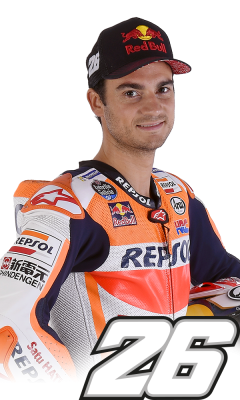 Dani Pedrosa has 6 wins—1×125 (2002), 2×250 (2004, 2005), and 3xMotoGP (2007, 2009, 2012), plus an additional 5 podiums and 5 pole positions.